Getting back in the swing of things, it’s time to take a look at the future Minutemen. Of course the big news recently was that the 2nd Round draft pick did not make it through the NCAA Clearinghouse and would not be eligible to join the Minutemen until 2nd Semester. The reigning USHL Player of the Year was held scoreless in his season debut. Egli was originally supposed to be playing in the USHL, in Waterloo specifically where he could’ve been skating alongside Montour, but it appears he ended up back in the BCHL where he had 11 goals and 24 assists in 53 games last season. McCarthy was supposed to play in the BCHL this year, but was cut by Prince George after he hurt his shoulder in training camp. Mark Divver of the Providence Journal reported that he has since signed on to play with the South Shore Kings of the USPHL, but has yet to suit up. Keats is off to a hot start with four goals in five games played. Last year with Powell River he had 19 goals and 36 assists in 51 games. Conzo went scoreless in his USHL debut. Last year he scored 22 goals and had 22 assists for the New Jersey Rockets of the Empire League. Over the Summer he participated in the USA Hockey Select 17 Player Development Camp. Last season Nachtigall had 12 goals and 18 assists in 50 games while playing along side current freshmen Patrick Lee and Maddison Smiley. Yet another Brooks Bandit. Last season he had 4 goals, 19 assists, and 63 PIM in 52 games for Brooks. It doesn’t appear high school hockey has started yet in Wisconsin. At least that’s where I think he’s playing. Last year Pelton-Byce had 36 goals and 46 assists (82 points) in 24 games for Madison. His father played for Wisconsin, scoring a hat trick in the 1990 NCAA Championship. Pelton-Byce also participated in the USA Hockey Select 17 Development Camp over the Summer. High school hockey won’t start for a while. The Amherst native had 29 goals and 23 assists in 25 games for Cathedral. He attended the USA Hockey Select 16 Development Camp over the Summer and the Republican had this write-up on his time there. Captain Troy Power is writing a blog during the current season. The latest entry is pretty interesting as he walks fans through a typical week of practice. No UMass mentions but Over The Boards ranked the Top 15 recruiting classes for this fall while College Hockey News take a look at the biggest news stories recently in the sport. CHN also has this story URI alumni pushing for a DI hockey team. Rhody AD and former UMass football player and Associate AD Thorr Bjorn must make this happen. Surely someone who once donned the Mr. Slice costume for UMass hockey games understands the benefits of college hockey. 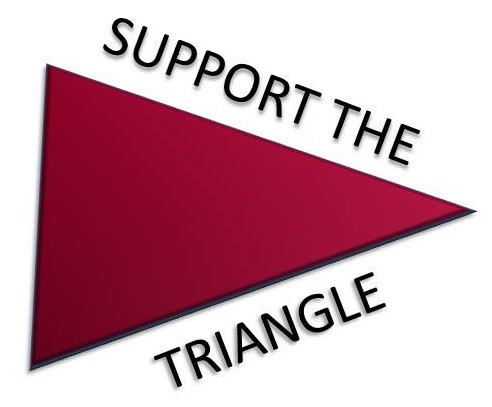 Yes, Fear The Triangle is back in business and you can thank Game of Thrones for that. Really. First, let’s back up a bit to about 21 months ago when I first announced the blog going on permanent hiatus. With impending fatherhood and homeownership on the horizon I figured I would have a tough time just following the team much less watching games and then trying to keep other fans up to date. I was partly right. In April I bought a house on the South Shore and a couple months later my beautiful daughter arrived, punctually arriving on her due date to the overwhelming joy of myself and my wife. I thought the baby and the house would encompass every last minute of my life, and they kind of do, but at the same time you still can juggle stuff around for some free time or just incorporate them into the rest of your life as best you can. So there were many times last season when I sat with my infant daughter on my lap while watching UMass hockey streaming on my computer. But other times I was able to sneak away for a few hours and make the trip out to Amherst to see the team in person. And a couple times my wife and I took the baby to the game where she saw a win in her very first game and didn’t even cry when she met creepy gray Sam. Not surprisingly, my 15 month old daughter already recognizes and points out the UMass logo wherever she finds it. As for the house I quickly learned that I’m incapable of doing even basic maintenance so mostly I keep myself busy as a homeowner by complaining and waiting for the next bill to come in for all the stuff that goes wrong. So while I was able to keep up with the team and how the season fared last year there’s still no way I would’ve been able to keep up with the blog. In retrospect, I’m very glad I shut it down, even if only for just one year. There were just too many midnight wake ups, constant feedings, crying (sometimes by me, sometimes by the baby), soothing, rocking, and a hundred other things going on to prevent me from logging on and spending hours writing about hockey. But, things got better. Soon the baby realized how to use her fingers and was able to start feeding herself. Sleeping through the nights luckily started early on and regular naptimes soon followed. Towards the very end of the hockey season I was soon finding I had some free time each night after the girl’s bedtime. That newfound spare time was filled in the Spring when my wife and I squashed all four seasons of Game of Thrones into a month’s worth of binge watching. Once that was completed I was hooked on the series and the characters and moved right on to reading the Song of Ice and Fire book series the show was based on. That kept me busy all summer. A couple weeks ago with only a few chapters left I started to wonder what I’d do to keep myself busy going forward. I’ve never been one to spend my nights in front of the TV watching NCIS:Cleveland or whatever so it led me back here. So yes, Game of Thrones helped me realize that I had enough time to do this blog again. I’m looking forward to writing about UMass hockey again and doing what I can to help other fans follow the team. I’ll actually start writing about the team itself in the coming days, but it should be an interesting season to follow. There are a ton of new players to get to know. With those new players Coach Micheletto has a roster made up of players better suited to play his style of hockey. UMass has a new Hockey East“rival” in UConn. And there are a lot of interesting storylines within the conference itself, as evidenced by the fact that Providence is the team to beat. One thing to keep in mind is that sequels, even the good ones, are rarely as good as the original. That’s likely going to be the case with FTT 2.0. While I do have some free time, I definitely won’t be able to put as much into this as I did during the first few years. I wouldn’t get back into this if I didn’t think I’d be able to put enough into it to keep everyone informed and offer some insight. But I still won’t be able to get to all the games, home and away, like I used to. The previews and recaps may not be quite as long. I might not have a weekly column every week. But, I still think this will be the place for UMass hockey fans to come to know what’s going on with their team. Especially since no other UMass hockey fan sites popped up in the last year and a half to fill the void anyway (looking at you Fight Mass boys). In the immediate future I plan to do a Hockey East preview, write a “what to watch for” ahead of this Saturday’s exhibition, write about the newcomers to the team, and of course write a season preview for the team itself. So I guess that’s it. I want to thank all the Minuteman fans out there who continued to tell me how much they enjoyed, and then missed, the blog. You kept FTT at the forefront of my mind and helped me realize the tremendous reach this blog. Hopefully FTT continues to be a place for the diehard fans to keep up with the team. What I would really love is for the program to start to ascend in the Hockey East standings and FTT ends up being where all the bandwagon UMass fans come to learn the details and history of their newest favorite team. Let’s hope the wheels on that bandwagon start rolling next Friday against Boston University. It was a bit surprising to find UMass in the Also Receiving Votes list of the first USCHO poll of the season, but that’s great recognition going into the season. That wasn’t the case with the USA Today/USA Hockey Magazine poll however. Here are the details of this Saturday’s exhibition against Dalhousie from the CIS. To my knowledge this will be the first time the exhibition game will be held in the Mullins Center. Also, if you’re unable to make it the game will be broadcast on WHMP as well.